Russia stands for diplomatic settlement of the Syrian crisis, Kremlin press secretary Dmitry Peskov has said. "Everyone, including Russia, is interested in preservation of the territorial and political integrity of all countries in the region, among them Syria, and everyone, including President Putin, thinks that there is no alternative to political settlement of that problem," he told reporters. The presidential press secretary commented on the pledge of Syrian President, Bashar al-Assad, to achieve full restoration of the territorial integrity, and a later statement of Russian Permanent Representative to the UN, Vitaly Churkin, who said in an interview with Kommersant, that the position of Damascus was against Russia's diplomatic efforts. 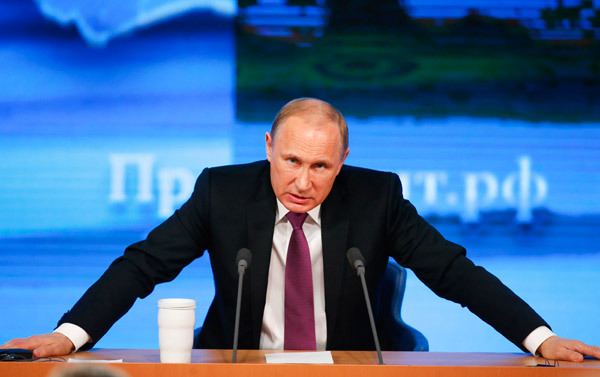 He also recalled Putin's words that terrorism needed to be defeated in Syria to settle the Syria crisis. A journalist said that al-Assad's statement actually demonstrated his refusal to engage in the Syria truce. "It [the truce] is now being discussed, wait, let us not jump the gun," Peskov said. As to whether Churkin's advice, that al-Assad should follow the Russian lead in the Syrian crisis settlement, was the official position of Russia, Peskov said that such phrases should not be viewed outside the context, and noted that Churkin was the Russian Permanent Representative to the UN, and "this should be kept in mind."